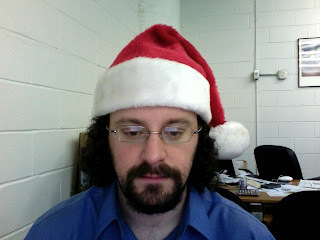 Santa hat. Or a nightcap. I'm not really sure what makes it one or the other except for the colors. I'm also not sure why people used to wear hats to bed.